I’ve been thinking a lot about Les Mis recently. I read an article a few years ago about one of the conflicts in the middle east (I don’t remember which conflict) and the fact that many Americans couldn’t understand why the local populations would fight against the American soldiers who came to free them. The author’s point was that the luxury of morality (and fighting for the “good guy”) is hard to maintain when your family is starving. In those circumstances, you fight for whoever will give you a bag of rice. I should specify; I’ve been thinking about how Les Mis has always seemed like a pretty story rather than something with present day relevance, despite the fact that the overarching concept of Les Mis – a country in the middle of a revolution and the lives it affects – strikes me as incredibly timely. The theme of societal conditions making it easier or harder for a person to do the right thing, is one that I imagine will always be relevant. But, for me, rooting the story in Paris during the French Revolution somehow distances me from that. I keep wondering what it would be like to stage a production of Les Mis in the present (or close to it) and in the Middle East. This is not something I’ve thought very far down the road with. At the moment, it’s just a fleeting question that won’t leave me alone. I’m not exactly sure how well a shift of the setting would intersect with the script and score. I don’t imagine Schönberg and Boublil were seeking to make any particular social comment in adapting the novel into the musical. But I do feel safe saying that Victor Hugo was most definitely wrestling with many of the social issue of his day. So, in that sense I feel like it becomes of an interesting question; what if your concept strays from the intention of the adapters but is closer in spirit to original source material? Then there is the consideration of sides. Within the context of the show, the establishment (the law, represented by Javert) is the villain and students are, if not the hero per se, certainly the good guys trying to win liberty and equality for the people. If you were to set it in the recent Middle East, you would have to pick a side as the oppressive establishment and another as the visionary revolutionists. A move which couldn’t help but be seen as a political statement – something which I would want to avoid, given my ignorance as to the subtly and complexity of the situation. Making a statement you intend to make is one thing. Making a statement purely out of ignorance is another and should be avoided when possible. And even if you could somehow avoid naming names in that regard, there is still the issue of a flag. The barricade and its accompanying flag are significant visual aspects of the story. Removing the flag from that image would significantly reduce the emotional impact of that moment of the show. And making a completely fictional flag, or something “vaguely Middle Eastern” seems like an option that could quickly become offensive. My next thought was perhaps you could do it in a neutral time and place, a la the recent Broadway production of A View From The Bridge, and let the audience draw it’s own parallels. It doesn’t exactly solve the flag issue, but perhaps something could be established purely with colors, much like the way sports fans rally around their team’s colors. The more distant a story seems – the harder it is for the characters to seem like they overlap with your world in some way whether it’s that their struggles are your struggles, their words sound like the way you speak, or their clothes look like things you wear – the harder it becomes for the story to feel immediate. Perhaps by adopting a more neutral design palate, you could allow the audience to feel closer to the story, by virtue of the set and costume not highlighting the fact that these events took place hundreds of years ago. When I watch a show, one of the primary things I want from a show is an emotional connection, ideally an empathetic, emotional connection. Any time I hear someone say they don’t like musical theater (or Shakespeare), I always take that as an indication that haven’t seen a production that allowed them to relate to the characters in a meaningful way. So, as a director, I’m always looking for points where an empathetic connection can be strengthened, ways to highlight the relevance of the story being told. Sometimes that comes in the form of adding something, sometimes it come in the form of stripping something down. I’m not sure if this concept would be at all effective. But I’m curious. I’m thrilled to be joining The Actors Company Theatre for their upcoming reading of The Magistrate. 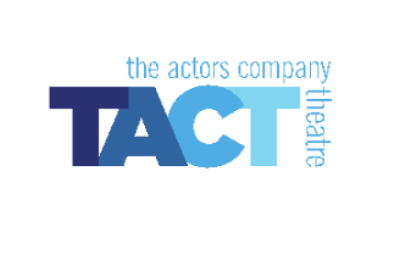 Sadly, this is a member only event, but for more information about all the great work TACT does (or to find out how you can become a member) check out their website here.